Use this link to get $10 in credit when you buy your first lesson. - Why Not Go to a Language School? You know I played football for England, right? I started this site early in 2015 and it's been growing and growing ever since. That's great! I'm happy to help so many people. But there's a limit to what you can learn on a website - even one as amazing as this. That's why every few days I get messages from students like you, asking for one-on-one coaching like in my videos, or writing correction, or pleading for private lessons. I understand your problems - you need someone to correct your mistakes. You need someone to guide and push you towards your goals. You need a professional to help you understand grammar, improve your writing, and learn faster. Why Not Go to a Language School? Yes, yes, I'm amazing, but I already have all the work I want. Plus I live in the most expensive country in the world and my hourly rate is obscene by international standards. I'd have to take an 80% pay cut just to be affordable. I came across various online courses and Skype teachers, but they didn't impress me and seemed too interested in selling weird things to you. There's no way I'm going to recommend something I don't believe in. In fact, I stopped looking because it seemed hopeless, but in Spring 2016 I found a website called italki which had LOADS of teachers from around the world on it. I secretly signed up as a student so I could spy on them. and started looking for reasons to dislike it. 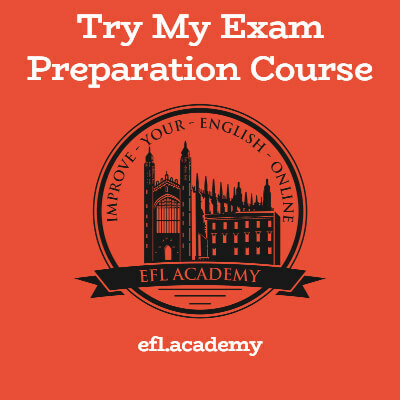 italki is full of English teachers like me (other languages too, but I don't care about that) - they offer online lessons (via Skype, for example), and there are thousands who know all about the CAE exam. They are very qualified and it isn't expensive. Amazing! Most teachers have a little video you can watch so you get a feel for if you like them or not. I found one called David, read his profile, liked his video, and wrote him a message. 'Would you like to come on Skype with me and talk about italki and the CAE exam?' 'Sure!' he said. Find David on italki by searching for Peachey once you’ve registered. Sophie is great and is looking for more CAE students - she prefers teaching exams to business or general English. So once you've registered, contact her and see how she can help you. In the meantime I wrote to italki and asked them some questions - they not only answered but gave me a special link - any student from this website can get 2 lesson for the price of 1. Follow the link, sign up, buy 10 dollars of lessons and you'll get 10 dollars more. BONUS. First you need to find the ones that can help you with CAE. Go to the Find a Teacher page and set the target language to English. Then click tags > test preparation > CAE. You can book a 30 minute trial lesson - it's REALLY cheap and you will get an idea if you like the teacher or not. Basically it's going to cost you 5 dollars or so. A very good idea and a very good way to spend 5 dollars! You've still got hundreds of teachers to choose from. You know better than me the kind of teacher you're looking for, but here are the things that I would care about if I were you. 1 - The teacher's nationality. You might have a preference, like British or American. But I strongly advise you to consider teachers with different accents than you're used to! Jessica here is from Ireland and her accent is very clear with just a hint of Irish (which I love). Getting familiar with a new accent is WORTH MONEY. 2 - How many lessons the teacher has given. If I started teaching on italki tomorrow my number would be 0. So don't think a teacher with 30 lessons is bad. But if you have 4 weeks before your exam and you NEED a GREAT teacher you can find someone who has given a lot of lessons. I think 1389 is a lot! Jessica has a 5-star rating. Um.... pretty good! I don't think I'd get 5-stars after 1,389 reviews because 15% of people absolutely hate me. This is one slightly weird thing on italki. At first it nearly put me off the whole website, which would have been a shame. Basically 100 ITC means 10 dollars. The reason they have this ITC 'money' is because they have students from so many countries and the exchange rates keep changing. It DOES make sense when you think about it. Anyway, the site converts that ITC thing into my local currency so I don't need to do maths. Jessica charges between 10 and 17.5 dollars an hour. And you can have a trial lesson with her for 5 dollars. HOLY COW. Why haven't you signed up yet? WHAT COULD POSSIBLY CONVINCE YOU MORE?! The video camera icon means she had a trailer - I watched Jessica's and she's great. These videos really give you a lot of information about the style of the teacher, the quality of the recording, and will really help you make a choice. At first I thought italki was just a place to arrange online lessons, but there's more to it. This is a feature where you can write a few sentences or a whole text and someone will come along and give you some free correction. Why? Because they are helpful and love languages. I know, weird. You can help people learn your native language too, if you want. In Summer 2016 italki ran an 'Olympics' themed contest to motivate and reward diligent students. One of the rewards was 500 dollars. Get paid for learning English! To repeat - you get free money when you follow this link. So in summary: click that link, find an excellent teacher who solves all your problems, and live happily ever after.